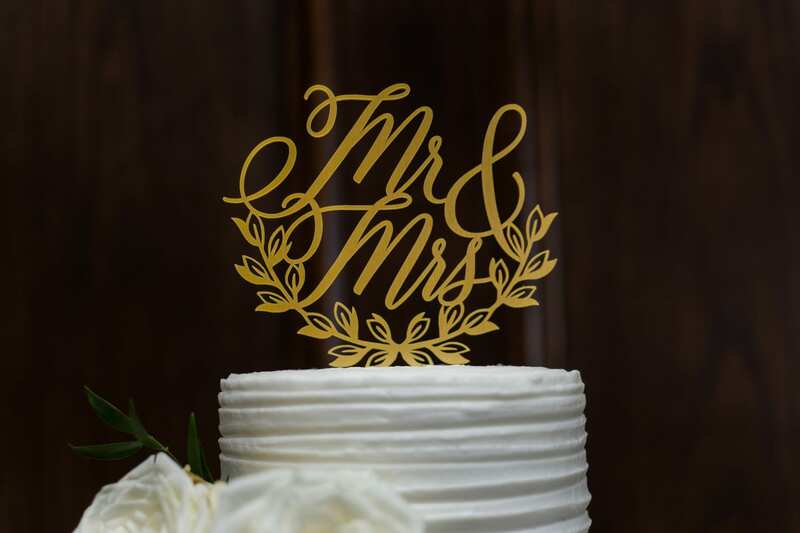 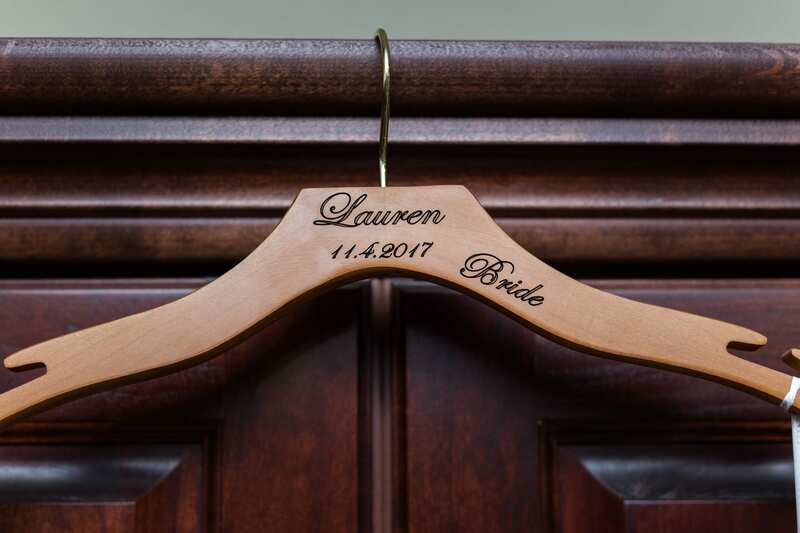 For anyone who’s considered a DYI wedding but have been hesitant to try, Lauren and Matthew prove it can be a wonderful option. 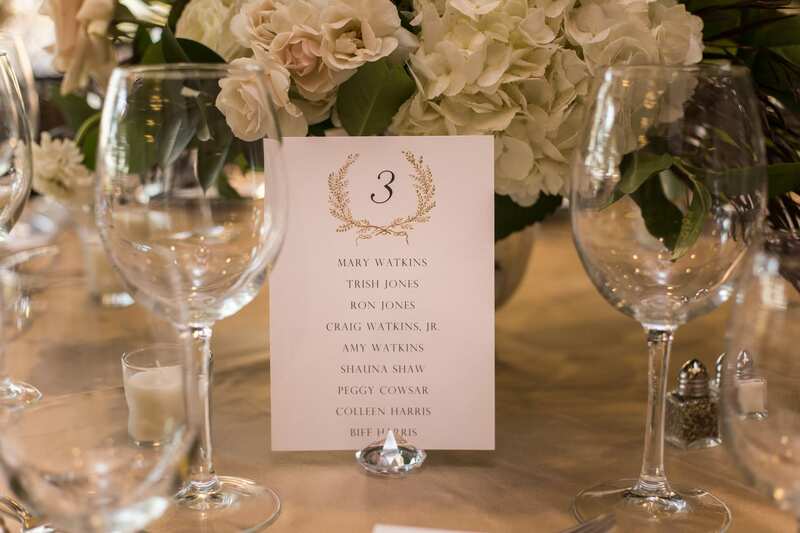 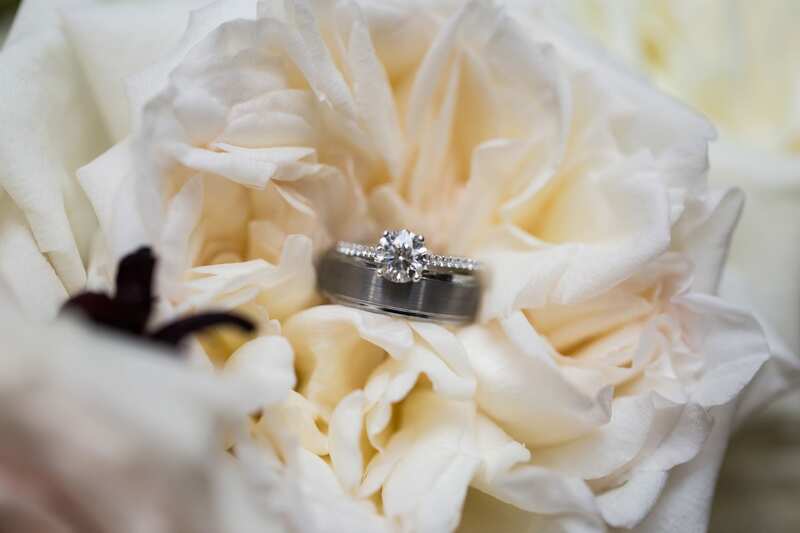 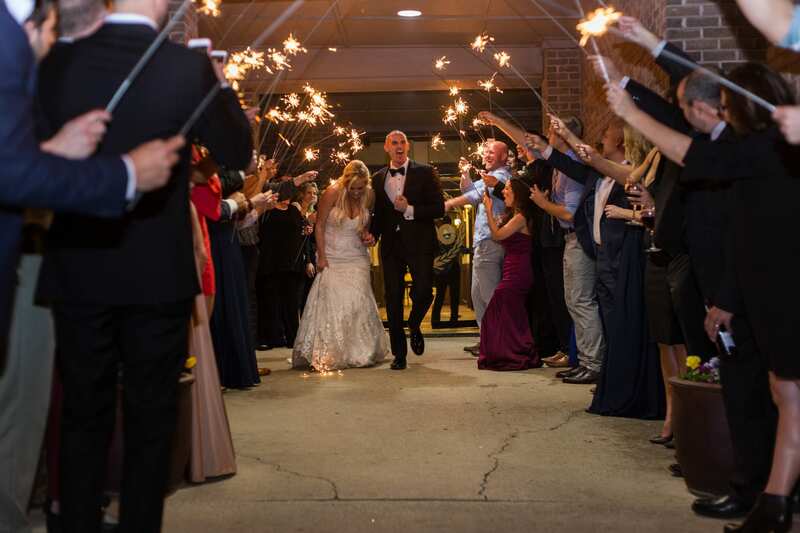 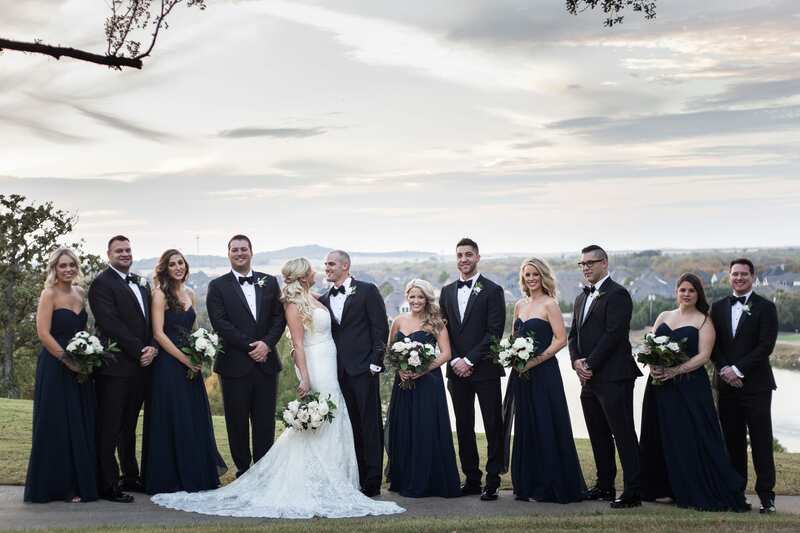 Modern glamor is center to this wedding captured by Brandi McComb Photography, but personal details make it truly Lauren and Matthew’s. 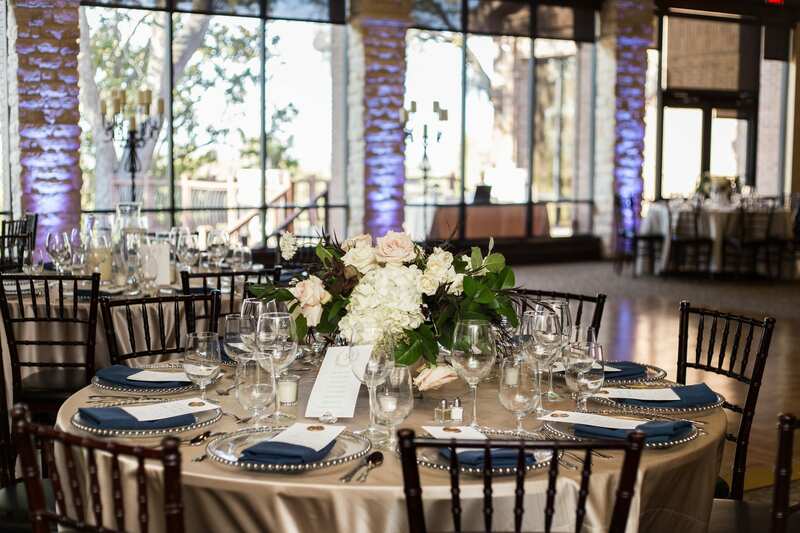 A spacious reception room with tall windows overlooked a lush golf course and lake. 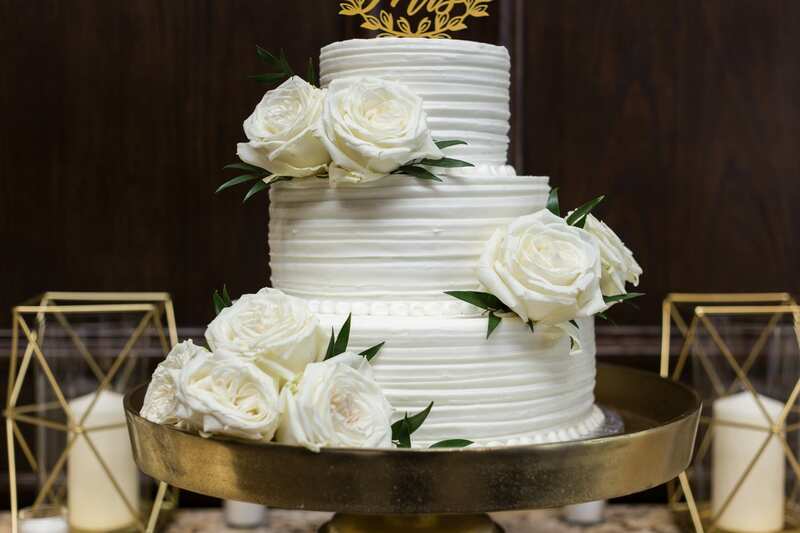 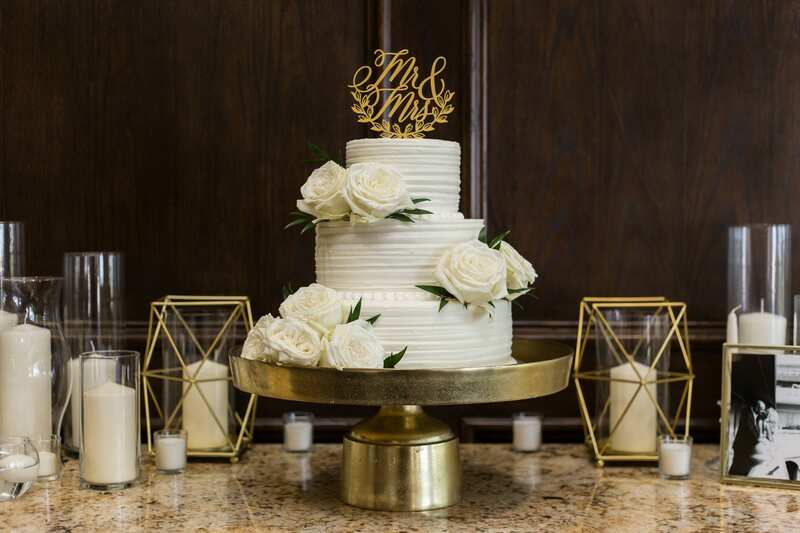 In lieu of a traditional wedding cake, Matt and Lauren opted for a stadium-themed cake showing their love for University of Oklahoma football. 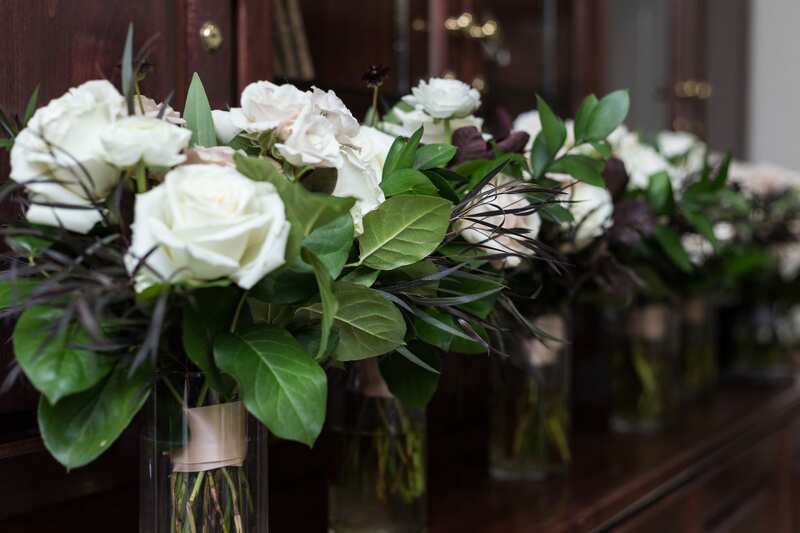 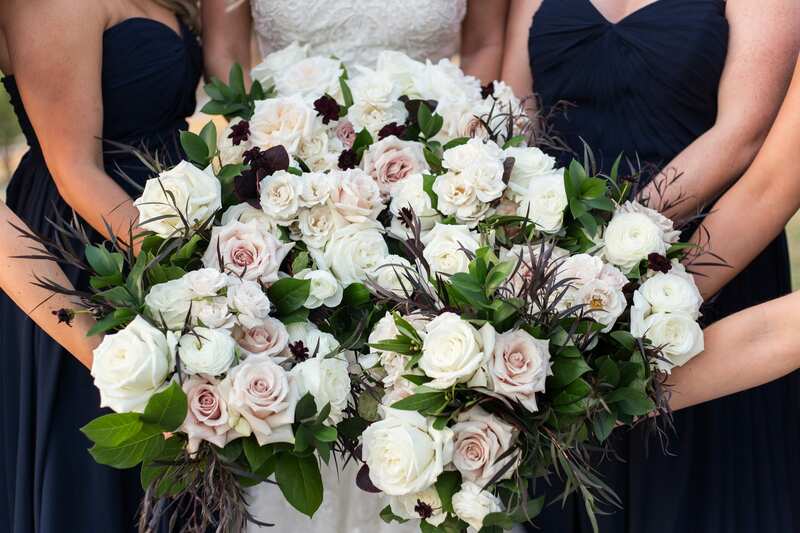 Plush white roses and sprigs of green and maroon made for unique bouquets. 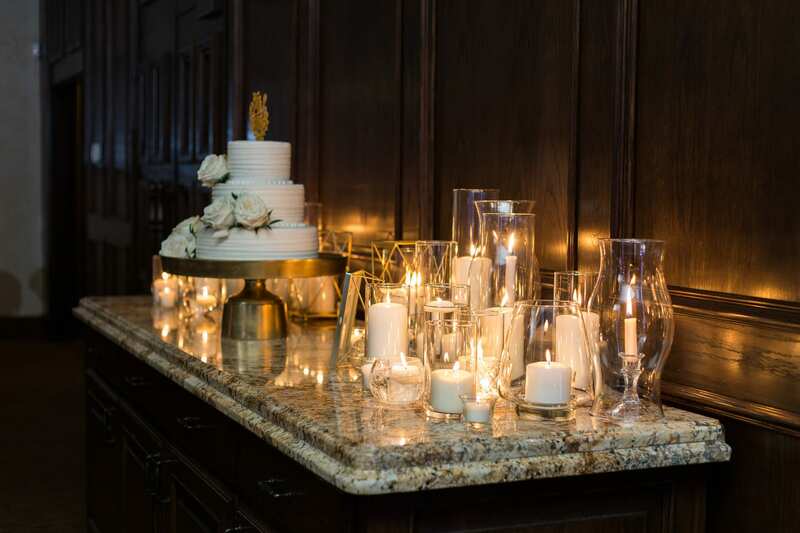 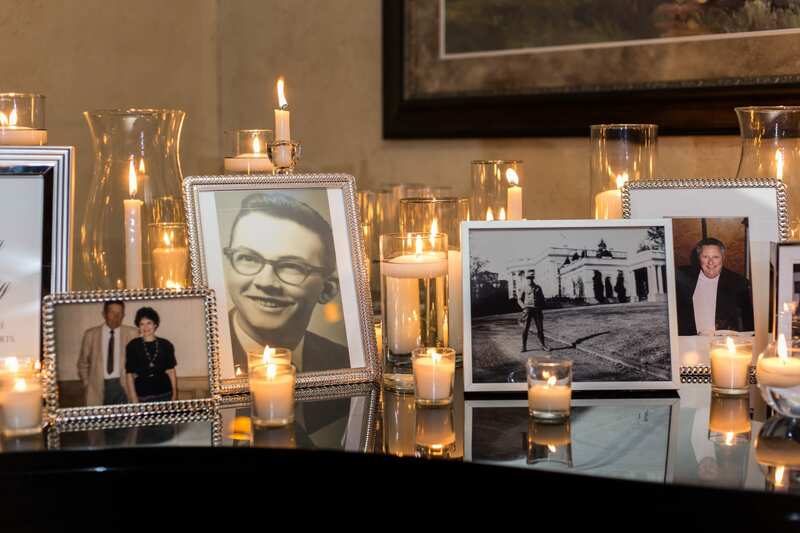 A table for loved ones who could not attend was adorned with tea candles and silver decor. 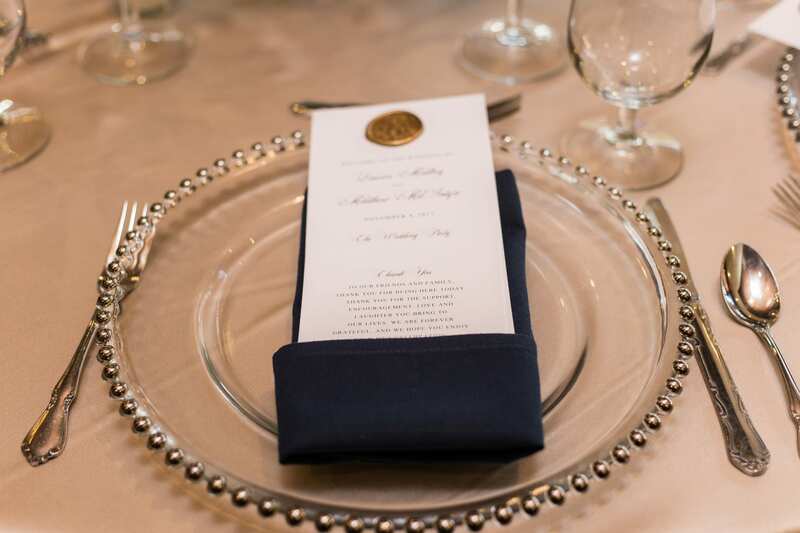 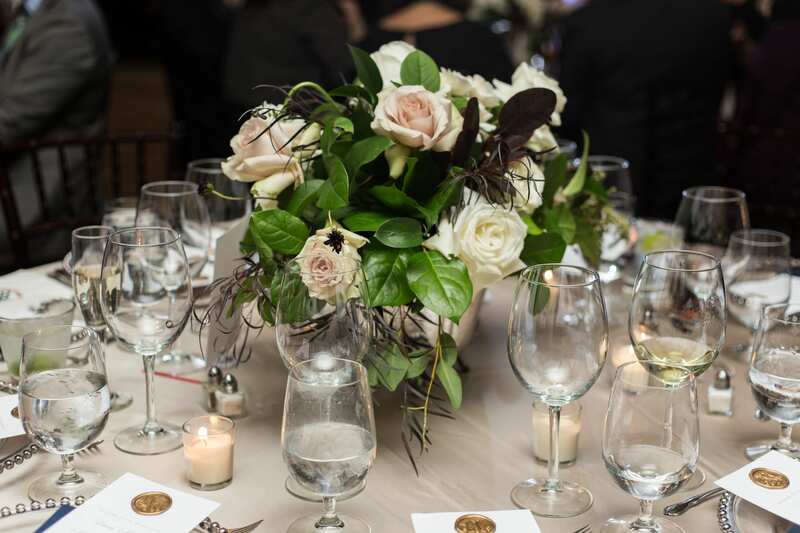 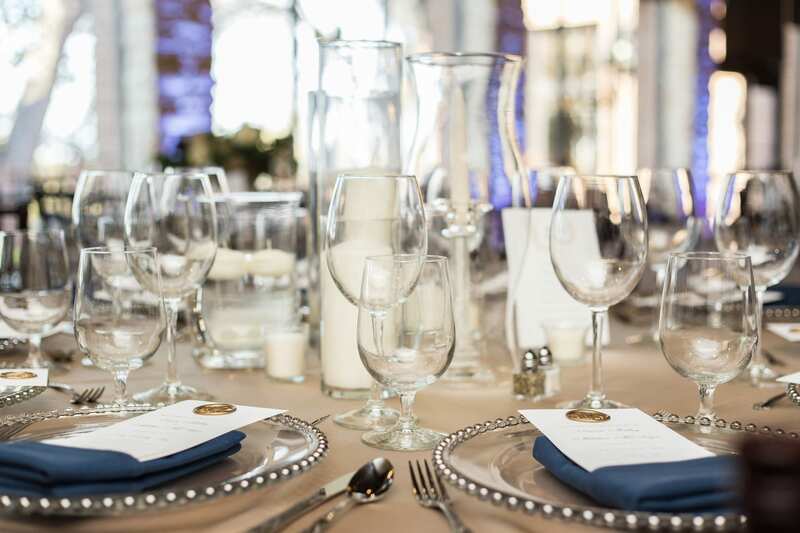 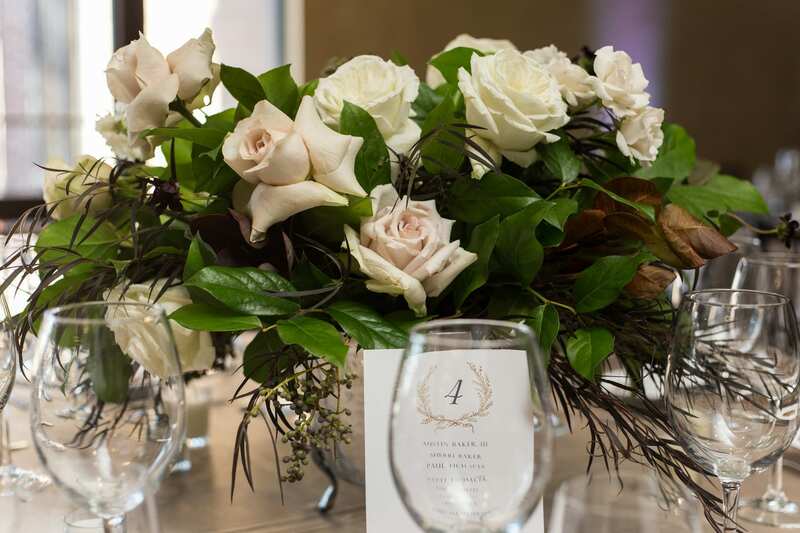 Each table featured silver satin tablecloths, navy blue napkins, and pearled dishware. 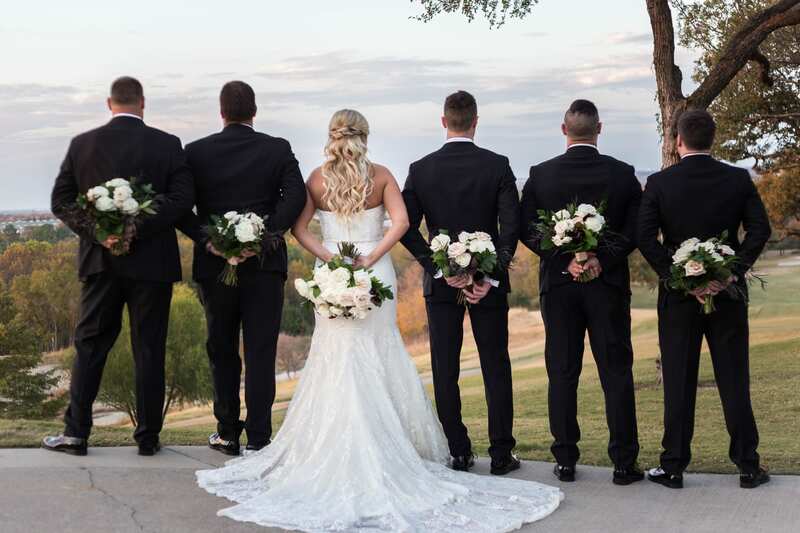 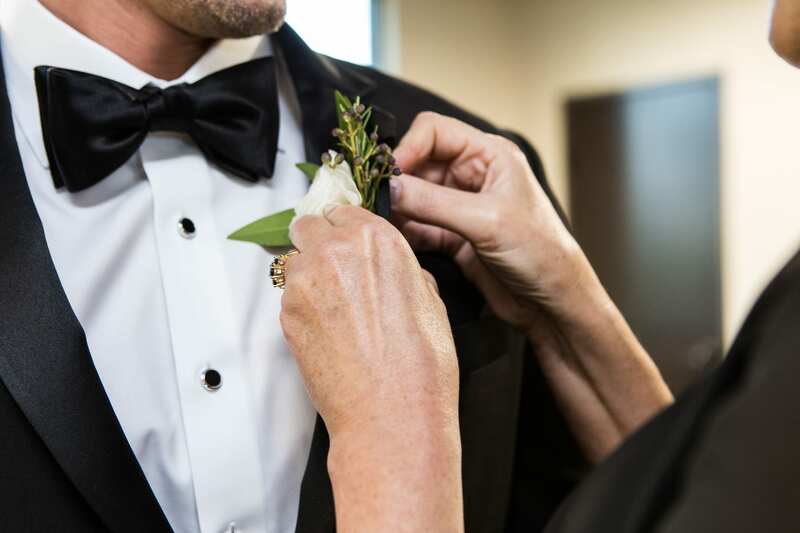 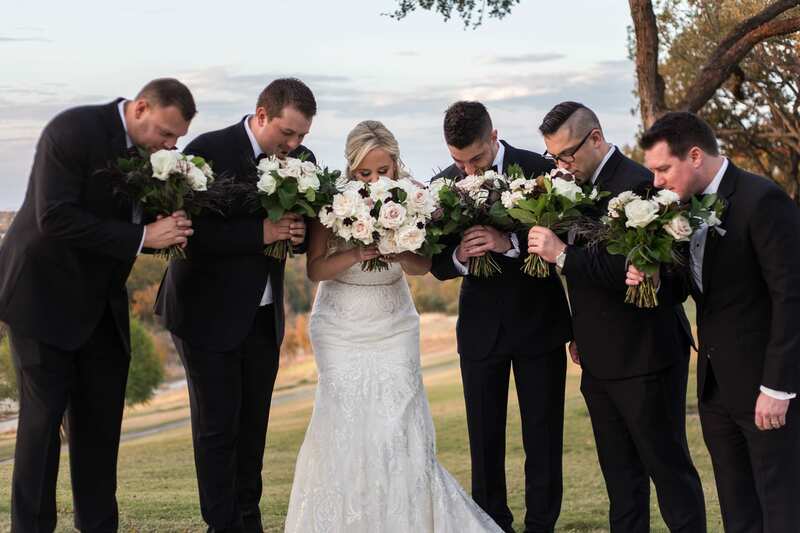 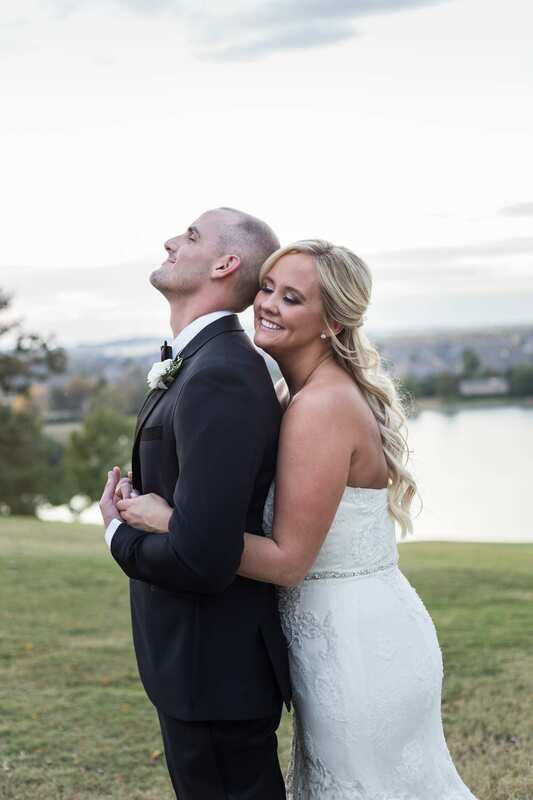 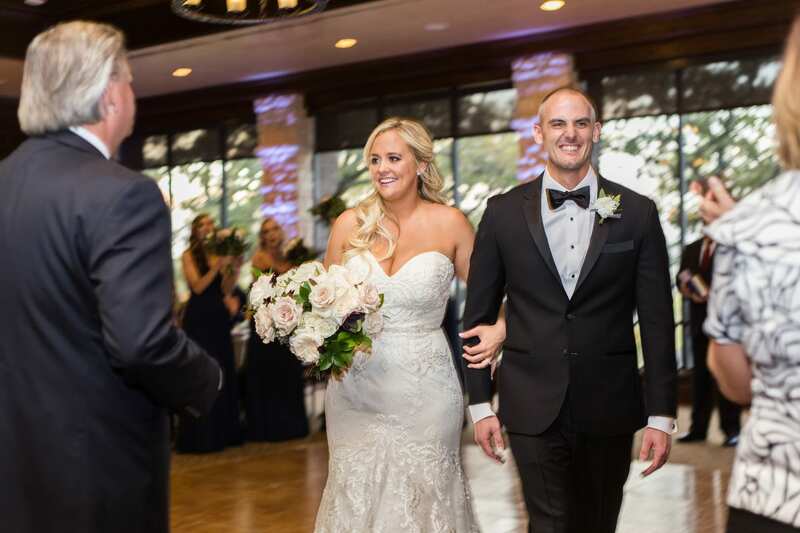 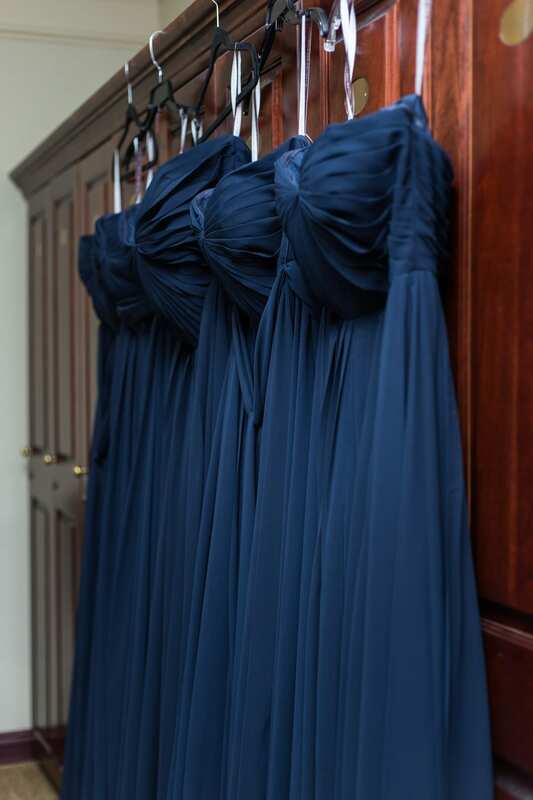 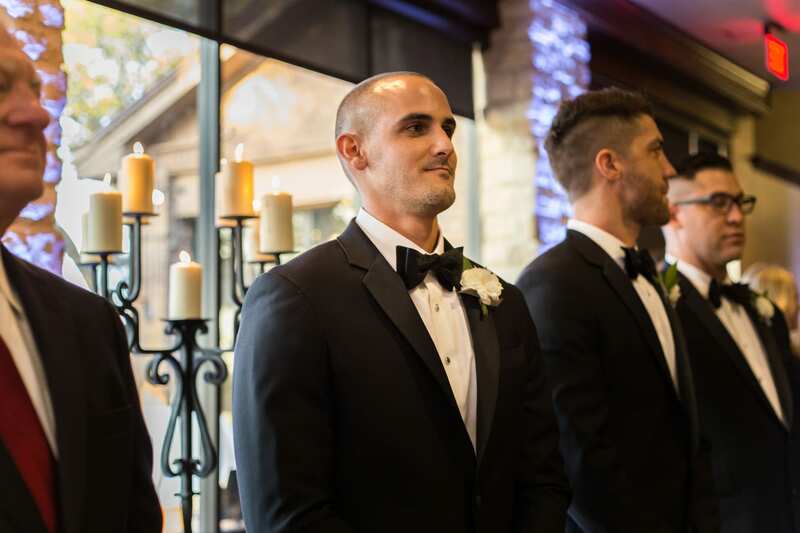 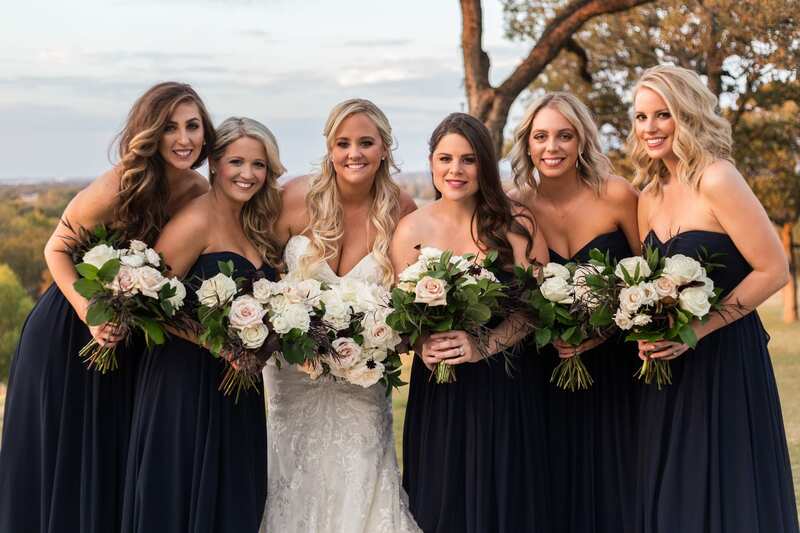 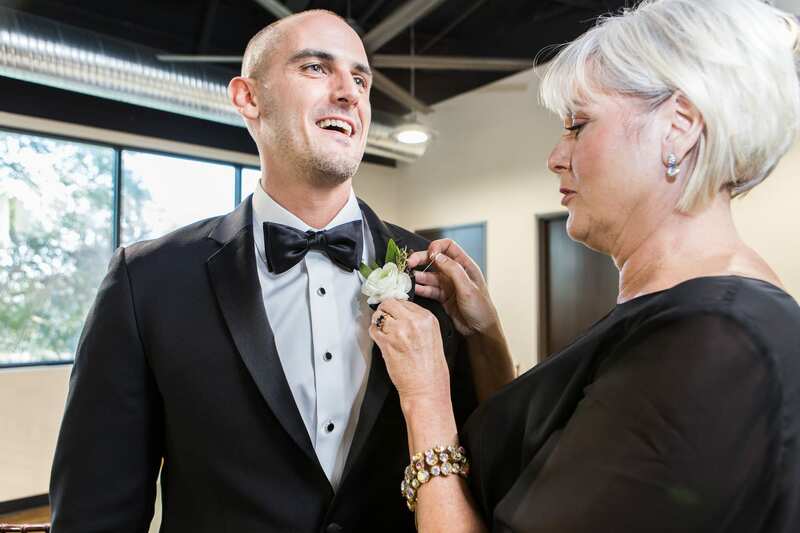 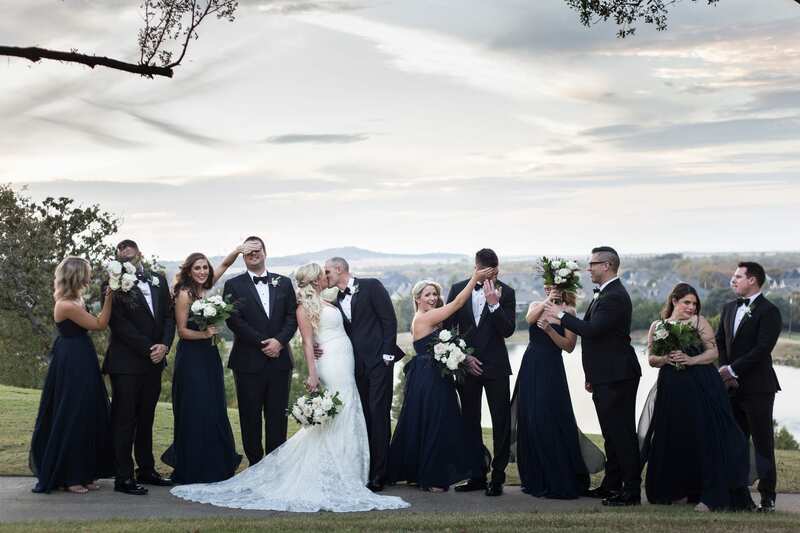 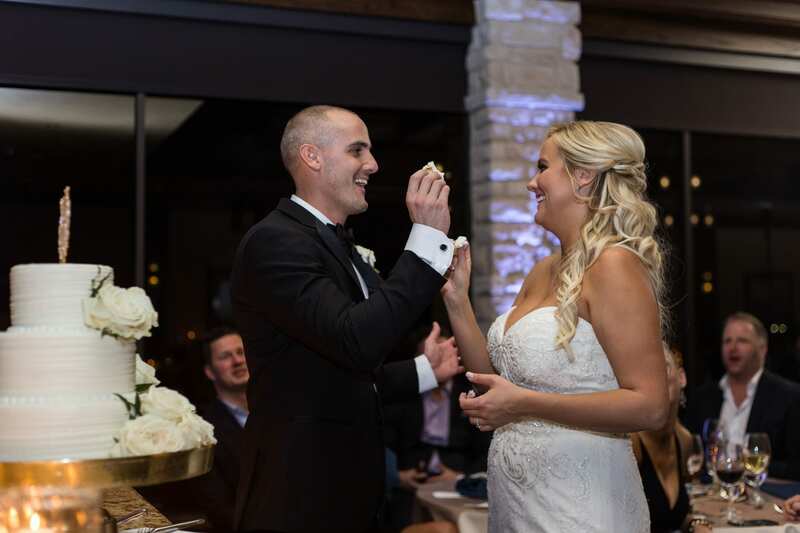 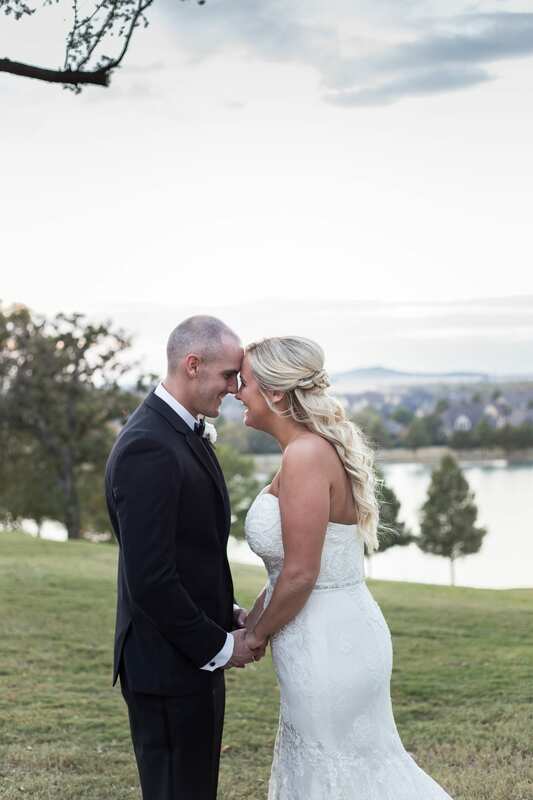 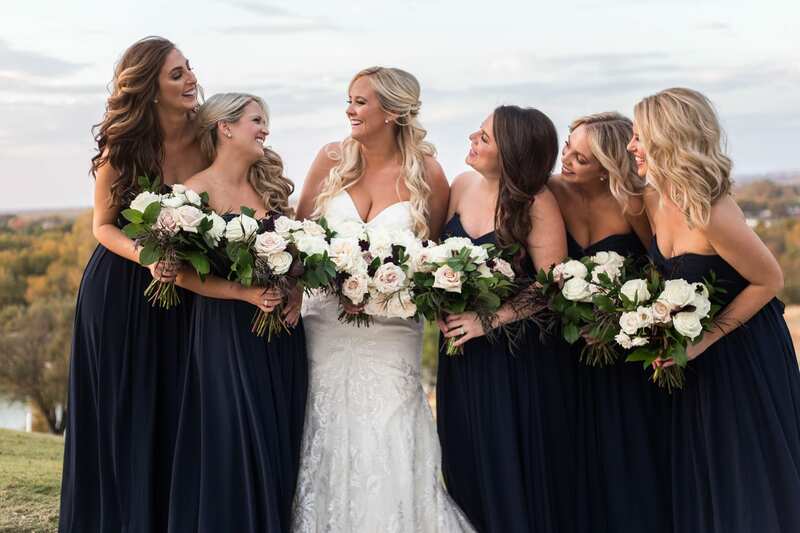 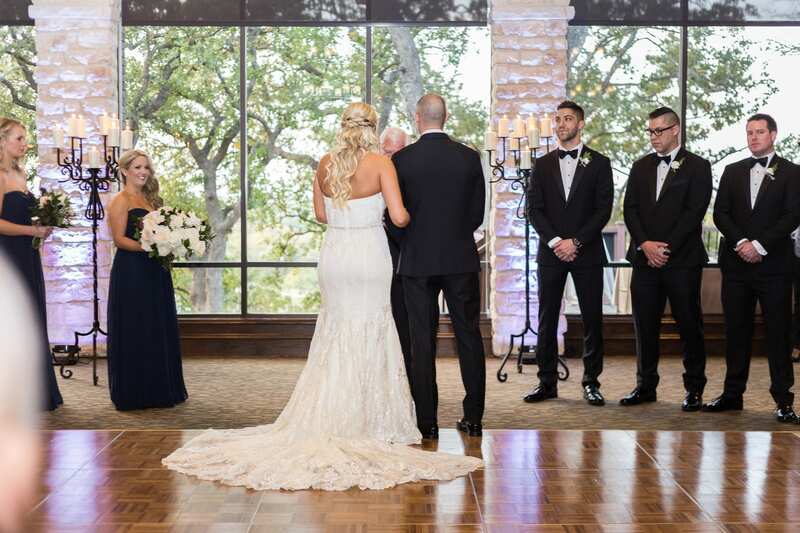 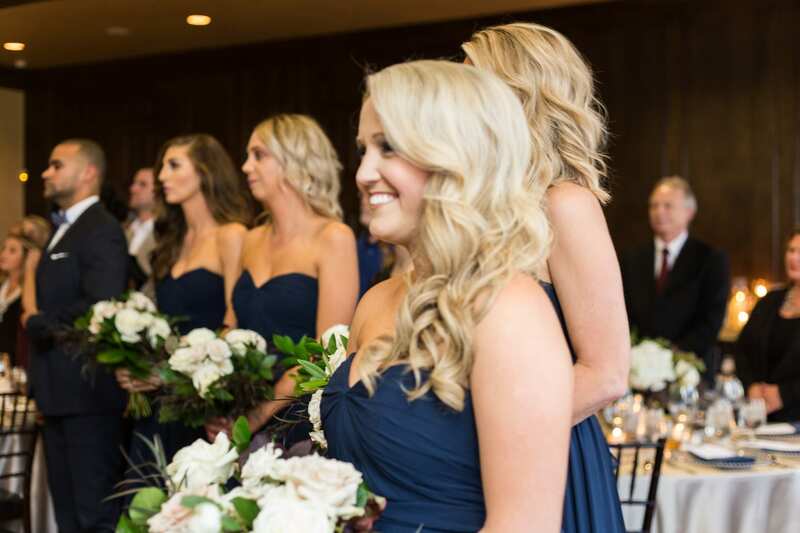 Attire was refined but modern: Groom Matt wore a classic black tuxedo and bowtie and the bridesmaid wowed in floor length navy blue chiffon dress with a ruched sweetheart neckline. 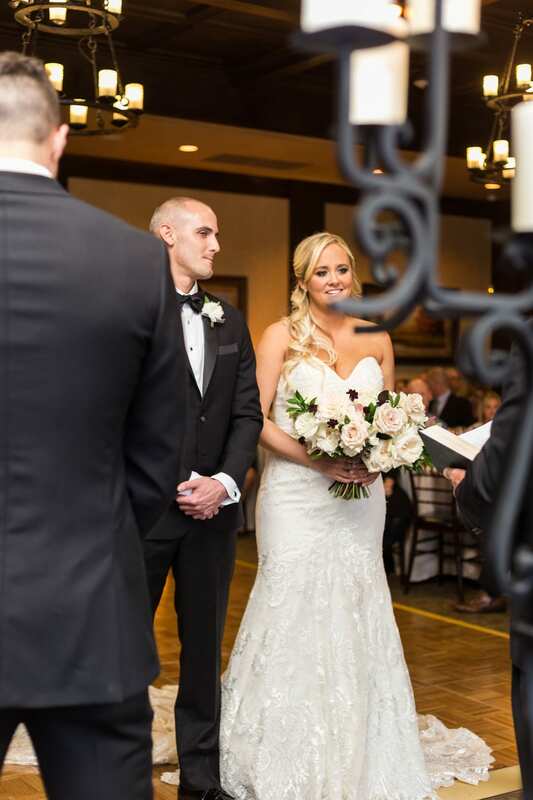 As for Bride Lauren? 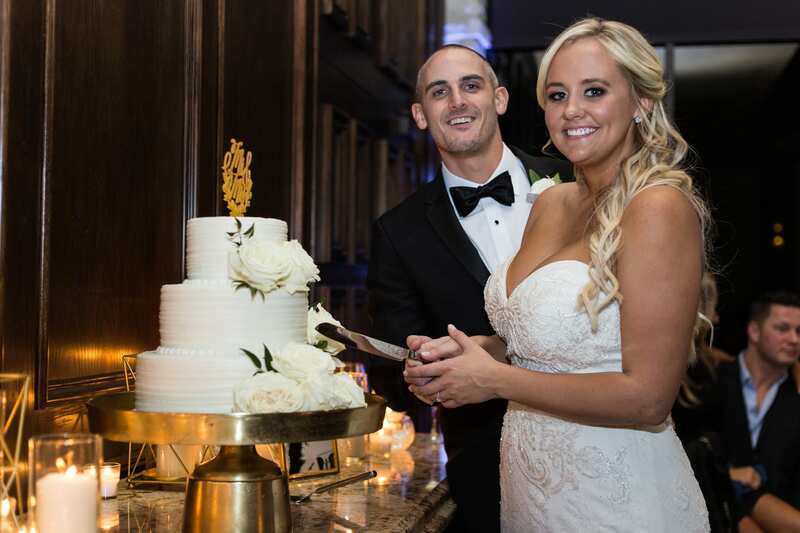 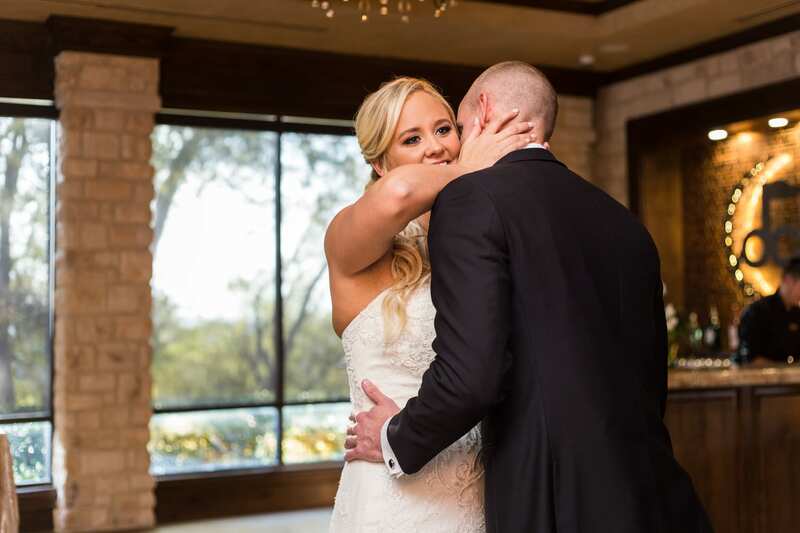 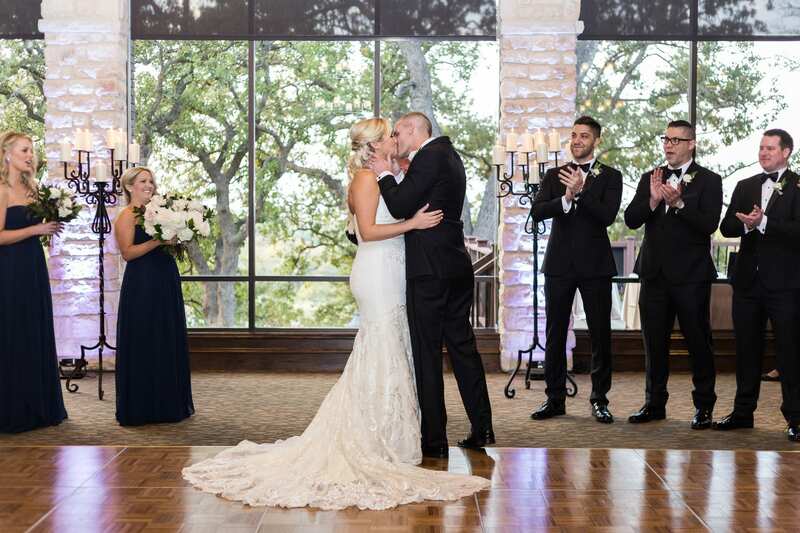 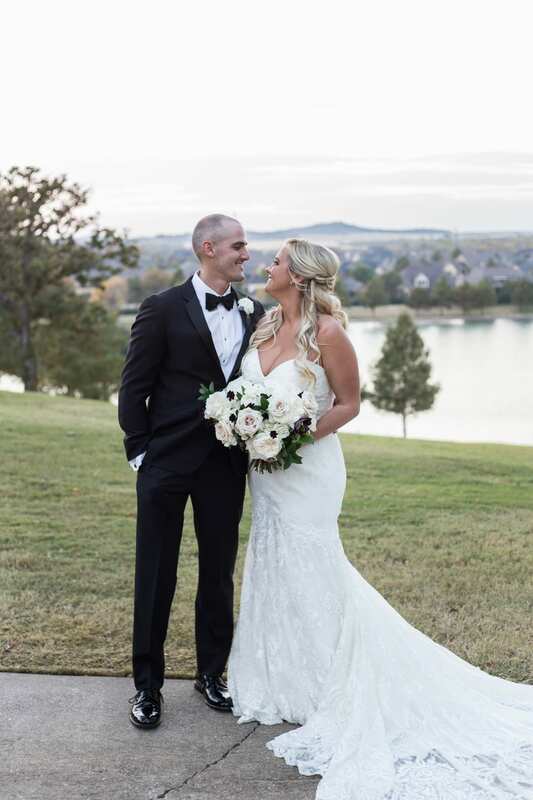 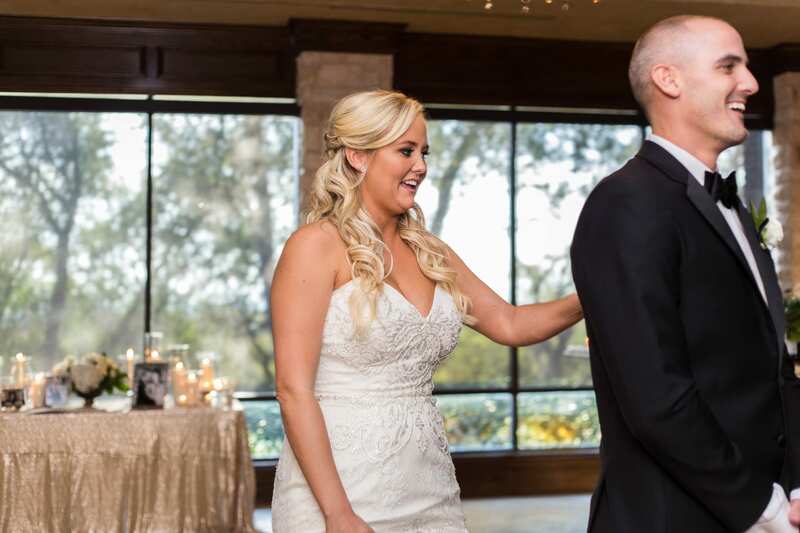 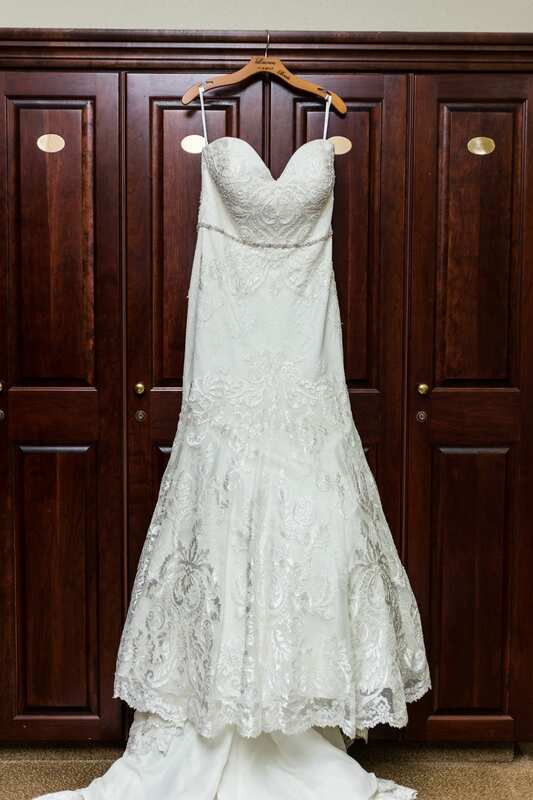 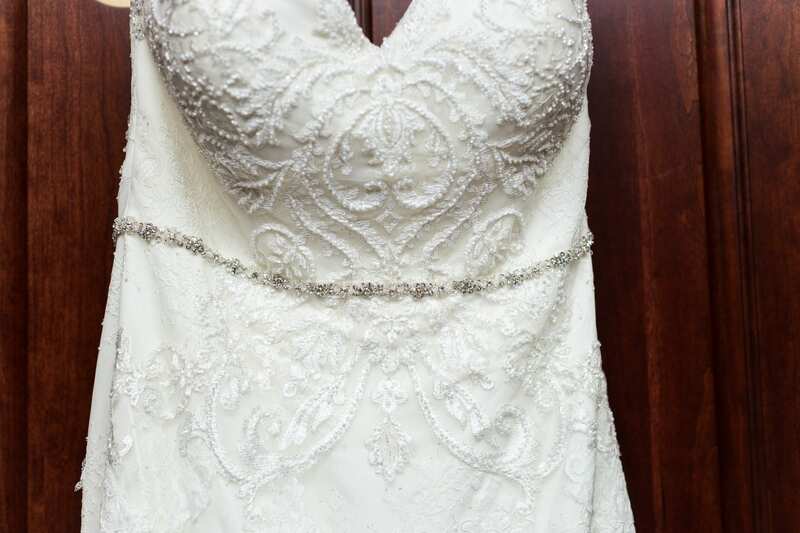 You could see the joy on Matt’s face during the couple’s first looked, when she revealed her mermaid wedding gown with a deep sweetheart neckline, swirled lace detail, and sweep train. 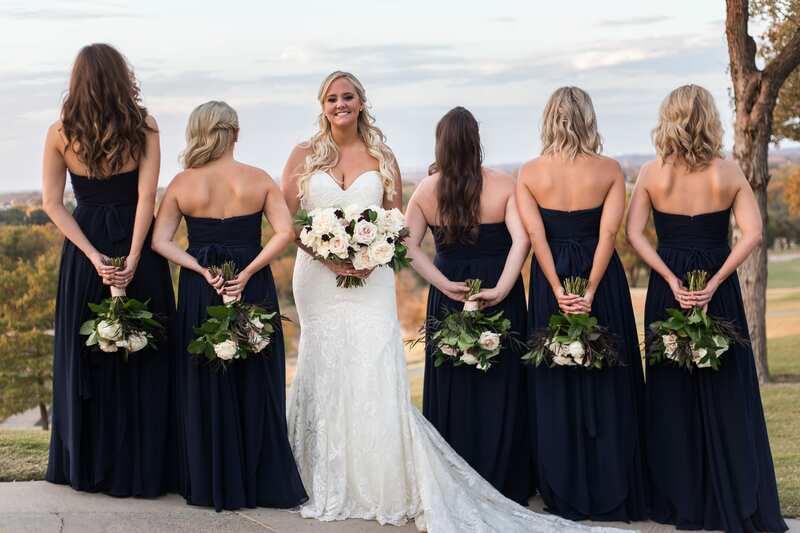 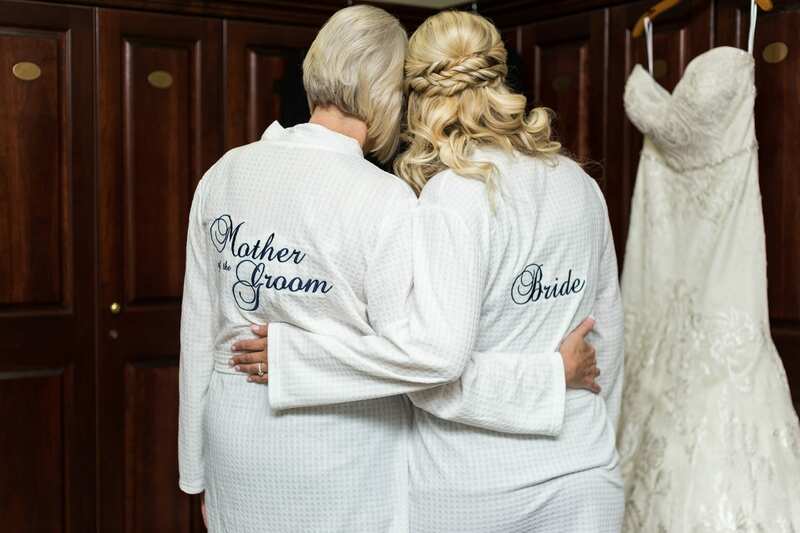 Her relaxed curls matched her bridesmaids’.